Your home uses glass for a variety of reasons. At times they need to be replaced due to age, wear and tear, or damage. We offer replacement glass service for both residential customers. If your home has glass that needs replacement then we are an affordable local option. We assist numerous local homeowners with window glass replacement, glass shelves, and table tops. If it has been made with glass we can replace or repair any glass product. 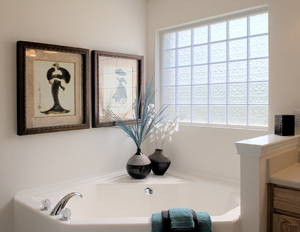 From bathroom windows to custom table top replacements, we have the replacement glass you need. Windows are a valuable addition to your home. They not only enhance its visual appeal, but also keep you and your home secure from the adverse impact of severe weather and other external factors. 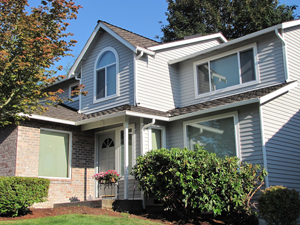 If you are looking for an easy and cost-effective way to enhance the appearance and value to your Auburn, WA house, then installing new windows can be an ultimate solution. Valley Glass is recognized for offering the finest quality and prompt services for window installation in and around Auburn. Our technicians are fully trained in installing new windows and repairing broken or worn out windows to give a completely new look to the interior and exterior of your home. From choosing the finest quality material to delivering satisfactory windows repair services, discreet attention is paid to every detail when we repair or install windows. Once you have decided the type of window you want to get installed in your Auburn home, then let us know and we will make sure to install windows which not only match but surpass your expectations. If you are unable to make up your mind, let our team of expert technicians help you choose the best window options for your home. Whatever might be your reason, we make sure to deliver window install and windows repair services at highly competitive rates. We aim to provide durable and superior quality services to our Auburn clients, thus ensuring their complete satisfaction and peace of mind. If your windows have stopped functioning properly or have developed some defect, then it is time to hire professionals for window repair or new window installation who can provide long-term and credible solutions. Broken window glass can prove to be a severe safety hazard along with risking your security. Whether you want to install windows or opt for windows repair, we can efficiently serve your needs. The professionals at Valley Glass spend time understanding the requirements of our Auburn clients and then provide customized install windows and windows repair solutions. With us, you can rest assured that the end result will be as impressive as you can imagine it to be. Contact Valley Glass today for a free estimate at (253) 852.4460 Rely on us for quality, experience, and all your glass needs!